Home maintenance is a part of any homeowner’s life. You may not want to spend a hot afternoon mowing the grass or cleaning the gutters. But you do it because you take pride in your home and want it to be in the best shape possible. Homeowners will spend time fussing over their window shutters and lawn, but they often neglect the most important feature of their home: its foundation. Foundation cracks may not seem like a big deal to some people. Things get worn over time and your house is no different. You may see cracks in the walls or in other places, so why worry about a few in the foundation? There’s a reason why so many great thinkers have used home building and foundation metaphors to describe relationships and projects. You simply can’t have a well-built house if you lack a solid foundation. Problems with your foundation will only lead to compounding problem defects in the structure as time goes on. They can also make it tough to sell your home in the future. The structural integrity of your home literally depends on your foundation. The foundation carries your home’s entire weight and establishes a level base for building walls. As you can see, if you lack the right foundation your home can be in danger. Why do I have foundation cracks? As soon as homeowners notice cracks in their foundation, they want answers. They want to know when it happened, how it happened, and why it happened. Unfortunately, they could be searching for answers for awhile. 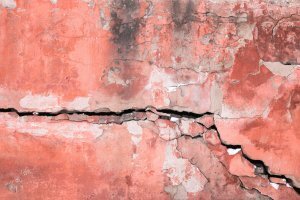 A variety of things could be behind your foundation cracks. Sometimes it isn’t just a single thing, it can be multiple things at once. Droughts just aren’t bad for water reservoirs, they can be particularly damaging to home foundations. When moisture is removed from the soil it can shrink and pull away from your foundation. If your foundation isn’t properly supported by soil, cracks can start to appear. This may seem like an unlikely reason, but your home doesn’t have to experience a huge seismic event to be damaged. A few small tremors can be enough to cause foundation cracks. This isn’t common in the Dallas/Ft. Worth area, but it’s still worth mentioning. If you had a rather stormy winter, snow and ice could be causing your cracks. If your lawn was been particularly saturated after a big snow melt, water intrusion is a likely cause of your foundation issues. Big trees may look nice, but if they’re close to your house they could be causing your foundation problems. If tree roots are too close (or directly underneath) your foundation, they could be sucking up too much moisture and destabilizing your foundation. Excess water can cause a litany of foundation problems. This is why downspouts should be pointed away from the home to ensure that water is directed to the right area. This is the cause every homeowner fears hearing. If your home was poorly built or the foundation wasn’t laid properly, you could be facing a lot of expensive repairs in the future. We did mention that some cracks aren’t cause for concern, but there’s a kind of crack that’s always dangerous: wide ones. Wide cracks are fissures that have grown, and if they’ve expanded there’s clearly a structural issue that needs to be looked at. Can’t decide if the crack you’re looking at is too wide? Try to stick a dime in it. If it stays in place, the crack is too wide and needs to be fixed. Remember this tip for any crack you find in your home, regardless of if it’s located in your foundation or not. You know that foundation cracks can cause a lot of problems, and now you know what could be causing your issues. Now what? Your response to the problem depends on the cracks. Despite the unpleasant picture we painted, a crack in your home’s foundation isn’t immediately a sign to panic. Sometimes cracks are nothing more than aesthetic problems and can be easily fixed. If you notice either of these cracks, know that you need to start foundation repairs ASAP. Take a close look at the crack you’re worried about. Cracks usually don’t run in a perfectly straight line, that’s why you should focus on the direction they’re running in. Foundation cracks that run horizontally and are located towards the base should be examined by a professional repairman and dealt with immediately. Horizontal cracks are a tell-tale sign that the structural integrity of the wall has been compromised. These are usually caused by rapid freeze-thaw cycles or water accumulation around the foundation. A horizontal crack that’s located in a bed joint of a brick or in a solid concrete block wall should also not be ignored. Those could be signs of a massive structural breakdown. Cracks are never going to look perfectly even, but cracks that seem wider at the top are a sign of trouble. Foundation cracks with a wide top are a sign that the foundation is dropping or that the center is heaving. Cracks that are wide at the bottom can be just as alarming. Wide bottom cracks could be a sign that you have foundation issues or structural problems. If you’re concerned about your foundation, you may have noticed a crack in your walls. One crack may look bad but isn’t cause for concern. A wall with two cracks or more can be a sign of trouble. Long wall cracks could be a sign of bowing or other foundation problems. Have you had foundation problems you were able to get fixed? Do you still have questions about foundation cracks. Let us know about it in the comment section!